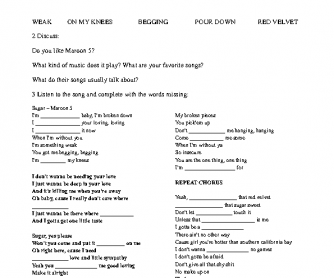 A complete worksheet covering vocabulary, song's message, and the present continuous drill. Appropriate for a review activity. To activate previous knowledge it starts with a vocabulary activity followed by a brief discussion on the band that plays the song. After the listening itself, there's a discussion on the meaning of the song, working with the metaphor concept. 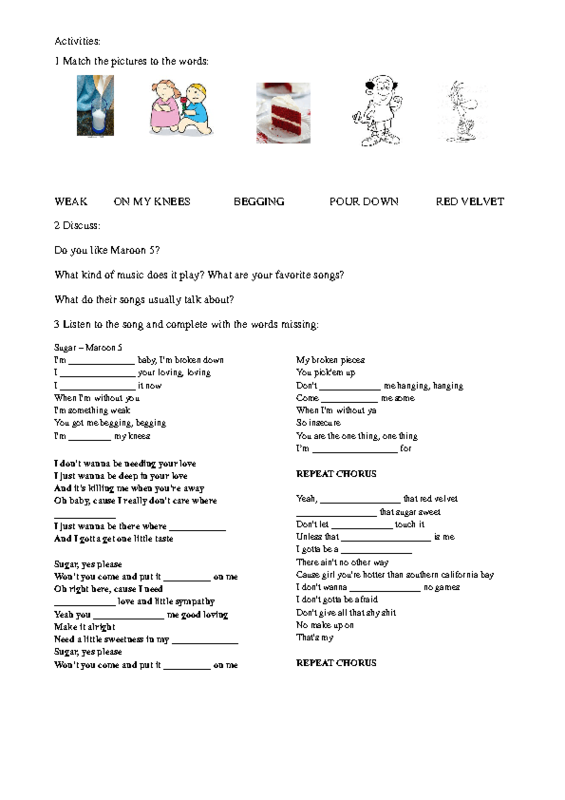 And the last activities refer to the present continuous, getting examples from the song and finishing with a speaking activity.